Independent Service Coordination (ISC) helps individuals with intellectual/developmental disabilities and their families/guardians access individualized services and supports. The program aims to ensure that the variety of services and supports it provides are responsive to the unique needs and desires of each individual, while effectively promoting independence, community inclusion, and self-determination. ISC staff serve as an advocate, resource, and partner for the individual, their family, and others who are important in their lives, including service providers. ISC serves Champaign, Ford, and Iroquois counties. Prioritization of Urgency of Need for Service (PUNS) – Provides assistance to individuals with intellectual/developmental disabilities who are potentially in need of services now or within the next five years to register in the PUNS statewide database. Information collected through this database allows the state to categorize needs for developmental disabilities services for individuals. Pre-Admission Screening (PAS) – Provides a screening process to determine whether individuals are eligible for services funded through the Division of Developmental Disabilities, especially those programs under the Medicaid waiver. Hospitalized individuals with intellectual/developmental disabilities are also screened to determine if nursing home services are appropriate. Individual Service and Support Advocacy (ISSA) – Provides advocacy services to individuals who participate in programs funded by Medicaid waivers (Community Integrated Living Arrangements, home-based services, and community day services). ISC staff work with individuals to develop annual Person-Centered Plans, identify goals that individuals have for the upcoming year, and monitor implementation of services to address their goals and service provision by provider agencies. ISC staff also determine service satisfaction and make yearly determinations of continued Medicaid-waiver eligibility for individuals receiving services. 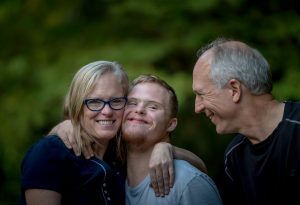 ISC services are contingent upon a formal diagnosis of an intellectual or developmental disability or related condition with concurrent adaptive functioning limitations in three of six life skill areas (language, learning, mobility, self-care, self-direction, or the capacity for independent living) that is manifested before age 22.